The definition of perseverance is to do or achieve something despite difficulties, failure or opposition. The Council for Economic Opportunities in Greater Cleveland’s very own Jasmine Alexander personifies every ounce of what it means to persevere. Alexander currently works at CEOGC as the Human Resources Administrative Assistant, but her journey with the agency didn’t begin there. “I ended up at CEOGC after volunteering through the Work Experience Program,” she said. “I was placed in HR, which needed the most help at the time, and after a month I was hired as the File Clerk. 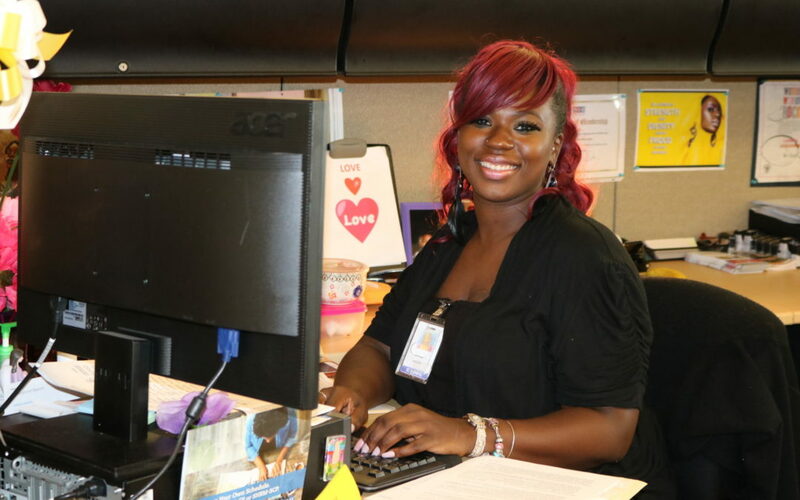 Then I was promoted to my position now.” Alexander just celebrated her three-year-job anniversary with CEOGC on June 1 and said she loves the work she does and the people she works with. 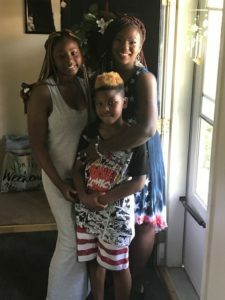 Jasmine Alexander with her children, Azzure 14 and DeFonta, 9, celebrating Independence Day. A few months after graduating high school Alexander gave birth to her first child, Azzure. Four years later she gave birth to her son, DeFonta. “I love my kids, they are my motivation and the reason I work so hard at everything I do,” said Alexander. Both kids are graduates of CEOGC Head Start centers. Instead of those experiences deterring her from moving forward, she used it as motivation. If CEOGC looks like the perfect fit for you, apply today! Stay tuned for more from our monthly CEOGC Staff Spotlight feature series.